AutoCAD block holds important role in productivity. However, it’s often overlooked by many users. Remember, creating a drawing is not just how fast you can finish it. You need to be able to modify it easily in the design process. And it should be able to give information that you need. Let’s see some reasons why you should use blocks. The basic use of block is as reusable contents. You can define a block once, then use it repeatedly without redraw it in new drawings or in the same drawing. You can choose to copy the objects. But when the drawing gets complicated, this can be a difficult task. If you draw it more than once, you may want to consider create a block from it. When you need to do modification, block definition will make it easy. There are two possible case here. Imagine you placed a door in elevation view. When you want to change the door, you may want to replace the model with other model. It means the door name and type are different. You can do it easily by replace that door with other door type from your library. There is a replace block tool in express tools. Another possibility is the door model itself need to change. The door type and name in bill of quantity remain the same, but you need to change the drawing. You can modify the block in block editor. When you finished, all block instances will be updated. This is much more faster than copying objects. If they are not blocks, when you need to modify it, you need to change them all. When you use block, AutoCAD will use the definition to all instances. I’m not pretty sure if there is a documentation about this, but it seems like when you insert another block instance AutoCAD will only need to remember less data. 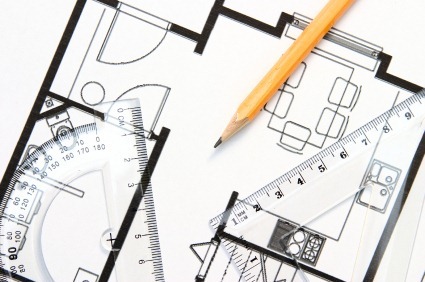 AutoCAD doesn’t have to keep all geometries data. This will reduce your file size and consume less resources. When the block is complex, the difference can be significant. In this example, Robin Capper said his drawing was reduced from 23MB to 3MB only! By defining block libraries, it means you don’t have to redraw your common objects and annotations. It will make your drawing consistent. The elevation symbol in one drawing will not be different in your other drawings. The title block is consistent between all AutoCAD users, because they use standard title block. Not creating their own. It holds not only geometry, but also attributes location and format. So the font type and location also consistent. You can create all of those objects and share them to all of your engineers, so you can make your drawings consistent. If you care about company standard, then you must develop block libraries. Dynamic block was introduced in AutoCAD 2006. Then Autodesk added geometric constraint and dimensional constraint that you can use in blocks too. You can make use of them and simplify your drawing library and process. You can keep similar blocks in one definition, instead of creating several block definitions. This column block tutorial is an example. Instead of creating numerous column blocks with different sizes, you only need to create one block definition. You can also add some intelligence to the block. My favorite example is to add alignment parameter to a valve. When you place the valve, it will automatically align if your cursor touch a line. We can also use attributes to keep information. Dynamic block parameters can also be used as information. We can extract those information easily and create reports automatically. A popular example is creating a door schedule. Other example is to create set out points report. There are many more reports you can create. As long as you have the data in your block, you can generate your report quickly. With those benefits, you should seriously consider optimizing your block libraries. If you don’t have one yet, it’s time for you to create one. You can find many articles about blocks in CAD notes. Try to find them in this AutoCAD article list or try to use search. However, we also have an e-book that covers everything about blocks. This book is structured and will give you good foundation before you start working with complex blocks. You will learn from the very basic, creating block and how to use it. You will learn how to work with blocks and layers. How to work with attributes and fields. How to work with dynamic blocks. And how to manage your block libraries. They are all covered in 121 pages e-book. All about blocks! 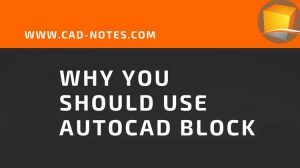 Purchase AutoCAD Block Best Practices from CAD notes Store. Mechanical, Petroleum, Design Engineers all make utilization of AutoCAD for creation and reproduction illustrations. Engineers utilize it for plan and analysis. Configuration includes delivering models while examination includes the estimation of feelings of anxiety, powers and limited components of a model. 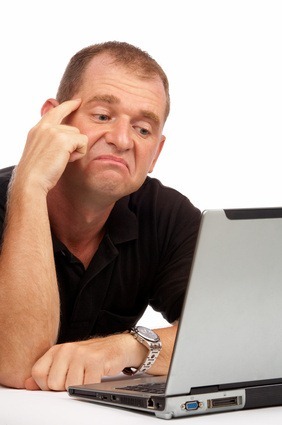 Your ebook sounds interesting – as well the dynamic block thing is a mystery for many. I find most users haven't tapped into this yet or perhaps might be plain confused on how to include such blocks within their workflow. I'm not sure if I can understand the problem correctly. If you were trying to simplify the block by creating nested block, yes it is sometimes required. Or probably you can email me with sample drawing to edwin.prakoso@cad-notes.com. You can describe what you are trying to achieve and what went wrong with your current block. an interesting thought comes to mind looking at the hanger example you've used … what does AutoCAD do in an array situation? Does it use the base elements of the array like a block and copy the required number of instances? Wouldn't the example provided by Robert be better handled using an array? Thanks for the article … I love blocks and use them all the time. A lot of the information I use comes from your book. It's not the array, but the blocks that made it effective. If you don't create it as block, then for each instance AutoCAD will have to keep each geometry data in memory. If you use block, then AutoCAD will only keep the geometry once. For the other instances, it will only need to keep location coordinate, scale and location. If you have complex blocks, then it can reduce file size significantly. And free a lot of resources.